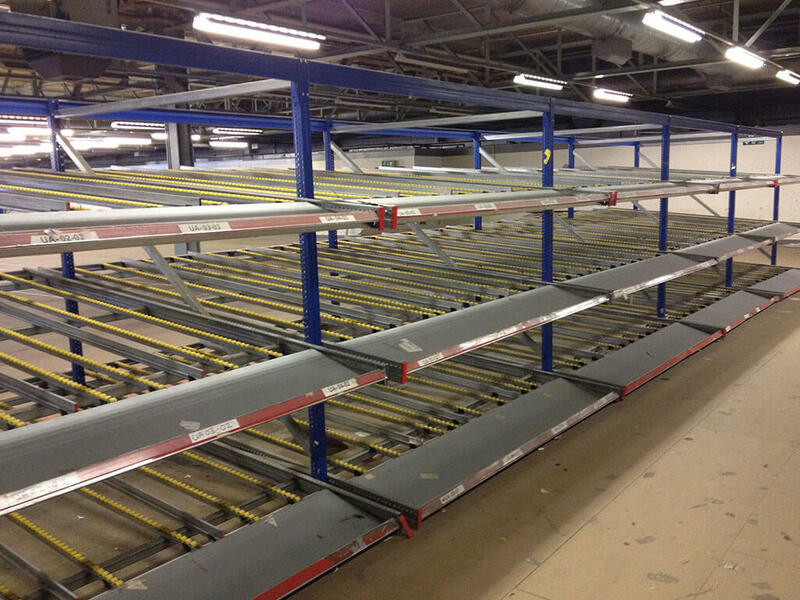 Firms who have fast-moving stock with a predictable turnover often use carton live shelving. It operates using first-in, first-out (FIFO) principles; cartons are loaded onto inclined rollers and are gravity-fed down to the next aisle, where the products can be picked. 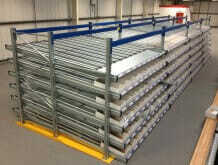 Contact us today to discuss your requirements on 0113 880 0866 or by email. 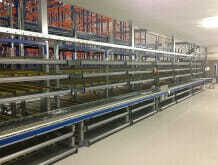 Highly cost-effective as the cartons are stored on high-density shelves. 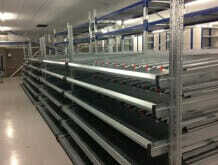 Can be used to store and pick a wide range of products. 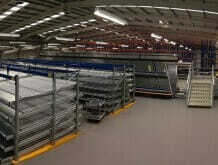 Efficient handling in the picking area. Operating using first-in, first-out (FIFO) principles, cartons are loaded onto inclined rollers and are gravity-fed down to the next aisle, where the products can be picked. 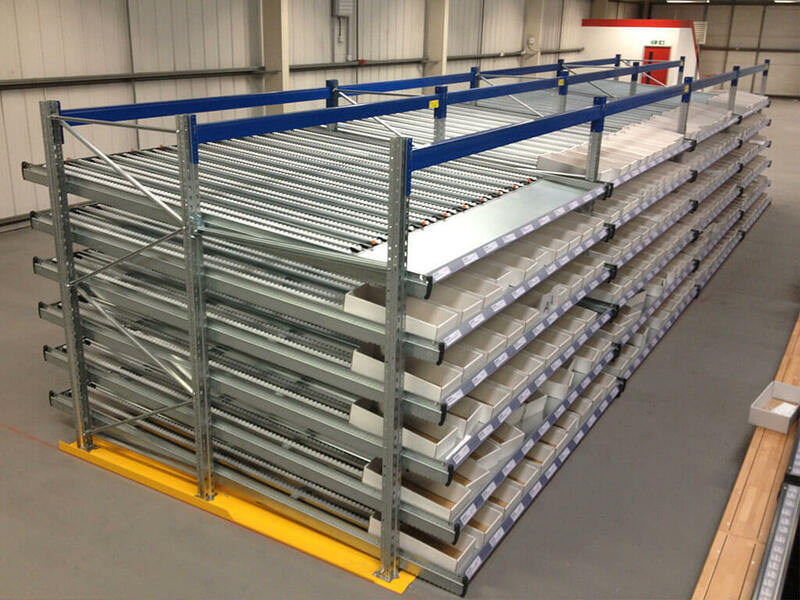 Ergonomically designed for efficient handling in the picking area, the shelving system’s guides and rollers can be adjusted to accommodate items of differing shape and size. A braking system can also be added to allow heavy or delicate goods to be handled safely. 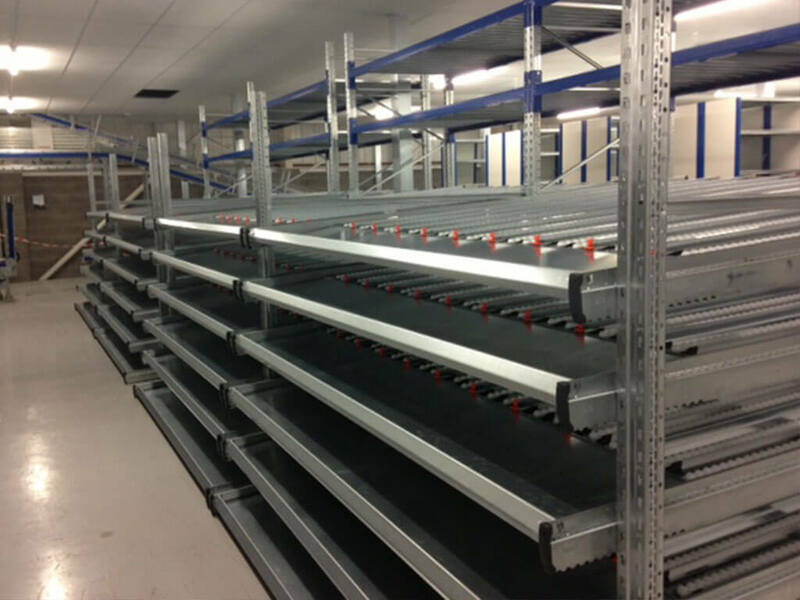 Carton live shelving can be used to store and pick a wide range of products, for example, computer goods, car parts, pharmaceuticals, cosmetics, and many more. 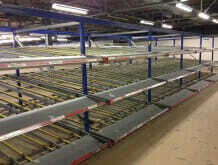 Carton live shelving is considered to be highly cost-effective. Cartons are stored on high-density shelves, which frees up floor space and reduces travelling time and distances for staff. 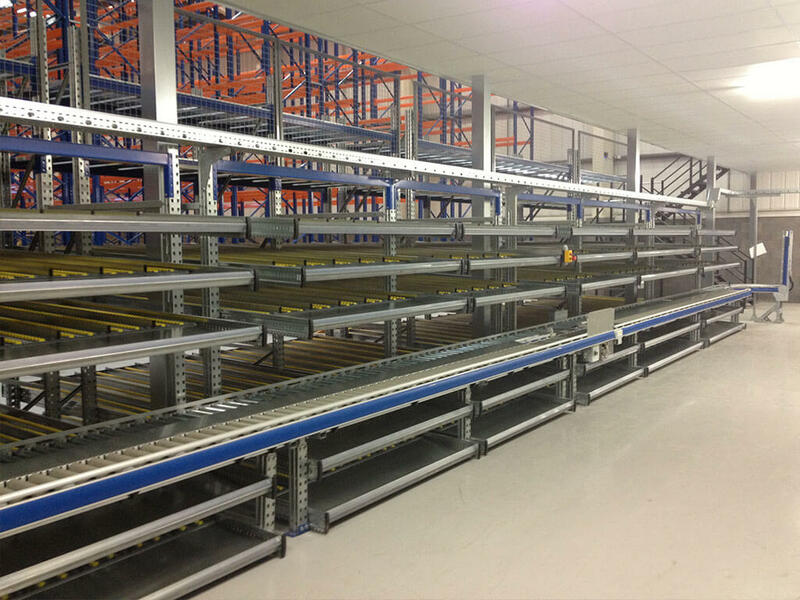 Stock management is automatic with the FIFO system and separate loading lanes can be dedicated to different products if required. 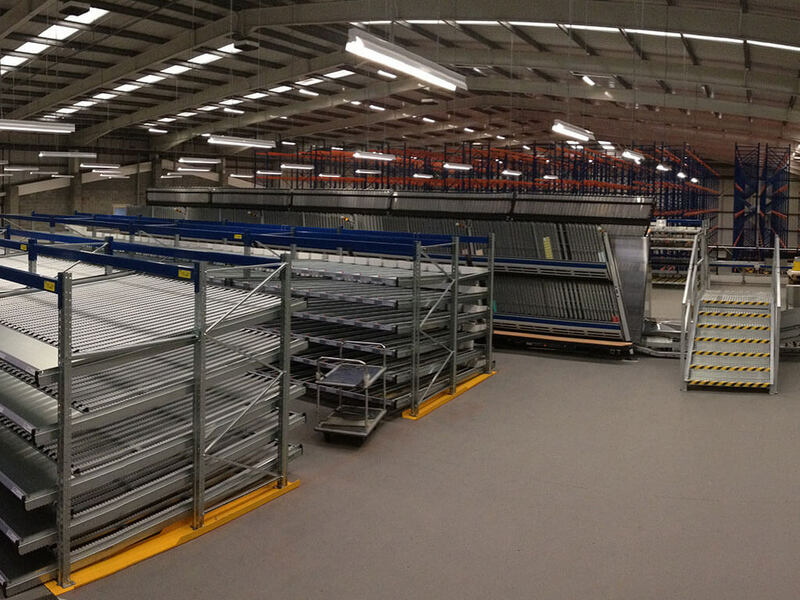 Order preparation and picking times are reduced using carton live shelving, and loading and picking are carried out on separate aisles, so one process doesn’t interfere with the other.